As a young boy I had to sit through Sunday sermons about morals, politics, fundraising and the like, but I can’t remember any about Jesus. As an adult I have also had to endure similar sermons. I remember one in particular where the preacher, a doctor of theology no less, opened his address with the words, “I have just finished reading a book on golf that contains many lessons for us as religious people.” Then followed the gospel according to Arnold Palmer! But in times of true revival there is none of this ‘Word-less’ trivia. Instead there is a return to, among other things, ‘Word-based’ preaching. Is Jesus the central message from your pulpit? Revival, in essence, is when God brings His church back to what she was at first. The Church of Acts chapter two was the first and archetypal church. The characteristics and dynamics of this church are therefore those we would expect to see in any genuine revival in church history or today. The first Christians were a devoted people, constantly and diligently focused on three key issues. The first mentioned in the Acts account is, ‘the apostles’ teaching’. At that time the fledgling church had only the Old Testament as their written revelation of and from God. The Gospels had not been written and Paul had not even appeared on the scene. But they had the personal testimonies of a group of men who had followed Jesus for over three years. These men had heard what He had taught and they had observed what He had done. One of them, John, identified Jesus as the living Word of God and later wrote that ‘The Word became flesh and made his dwelling among us. We have seen his glory, the glory of the One and Only, who came from the Father, full of grace and truth.’ (John 1:14) What Luke refers to in Acts as the ‘apostles’ teaching’ was surely the faithful repetition of what Jesus had said and done. 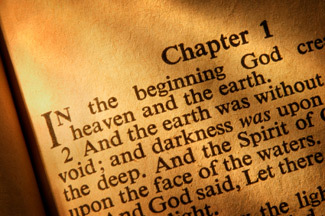 From the start the early Christians were devoted to Jesus and His words. Historical revivals have some common themes and one of these is a return to Christ-centred expository preaching and teaching. A precursor to revival and a characteristic of revival itself is a devotion to Jesus and the Bible – the Living Word and the Written Word. Gone are the topical sermons that are in most cases little more than an entertaining exposure of whatever is in the preacher’s head and heart. Gone are the moralistic homilies and the crowd-pleasing promises of health, wealth and all that glitters. Instead, there is the faithful and persistent exposure of what Jesus said and did, who Jesus is, and what characterises Him and the life He portrays. Take the Christocentric test – is Jesus the central message from your pulpit? Do the majority of messages faithfully explain what the Bible presents as the way of God in Christ Jesus? If not, then it’s time to pray for a return of this vital dynamic of revival – devotion to the Word of God.